Android 4.2 has stired up quite a storm with its features, when it got released with the new Nexus Devices on November 13. One feature in particular which caught our eye was the new and improved keyboard. 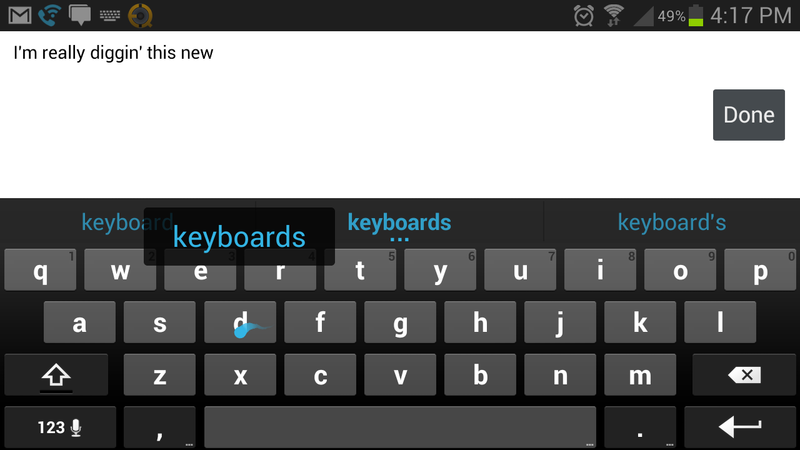 The Keyboard text prediction has been substantially improved since its release on the original Android 4.1 Jelly Bean Operating system. The keyboard also gets Swype, with it you can type a word by dragging your finger while connecting the alphabets. Mixed the enhanced text prediction, typing has become really quick and seamless. Now for the good news, users with Jelly Bean 4.1 can get hold on this keyboard from the Play Store now. The keyboard has been ported by a developer Honso and the best part is that it is absolutely free. This app is still Jelly Bean only so all you ICS fans have to wait a bit as the developer has mentioned he will try and back port the keyboard down to Android 2.3 Gingerbread. The app is available on the on the Play Store here.